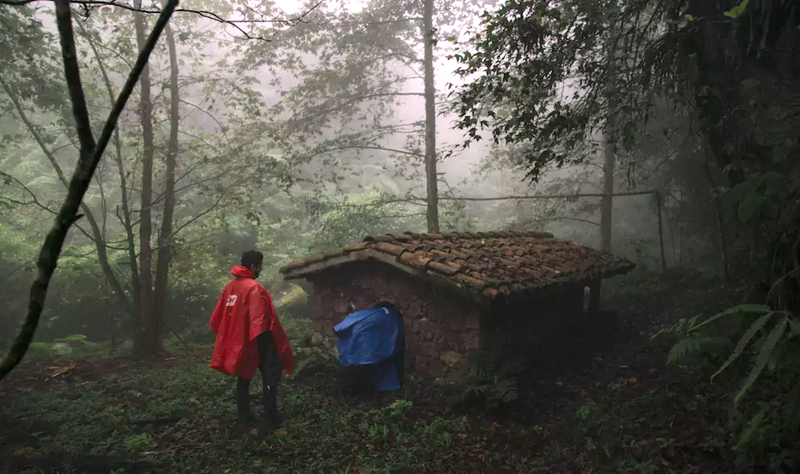 It is a traditional Mexican sweat lodge that’s meant to purify the body. But really it’s so much more than that. Here’s what an authentic ceremony would look like. They build a large fire in which they heat 36 volcanic rocks. The fire is symbolically called, “El Abuelo” or “the grandfather” and the volcanic rocks are “las Abuelas” or “the grandmothers”. The fire cleanses and purifies us while the rocks hold our cosmic energies. It is believed they have been here since the beginning of time and hold the keys to our evolution. 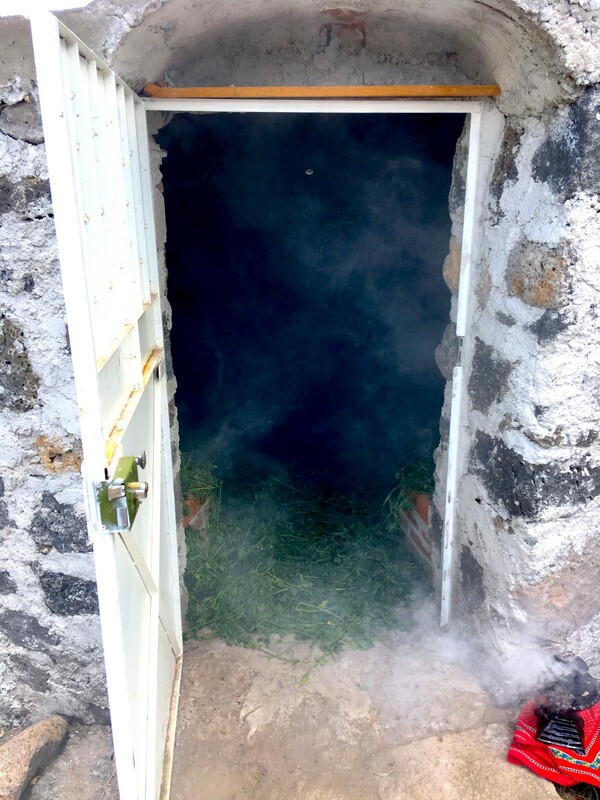 Inside the temazcal, a bed of fresh medicinal herbs is laid all around to create a higher frequency for healing. The aroma of these herbs are also inhaled during the ceremony and act as an internal body cleanse. At a temazcal outside of Mexico City. Inside lay a bed of alfalfa. Everyone person is ceremonially smudged with copal, which is aromatic tree resin. Smudging is a term used for cleansing the energetic space in your aura. You enter one at a time and low to the ground. It’s respectful to ask permission to enter, walking in towards the left, following the circle, and taking your seat. The temazcal on the property of our next retreat in the forest of Xico, Mexico. There are four sections of the ceremony, or four doors, and these represent the four elements: air, wind, fire, and earth. Nine Abuelas, or heated stones, are brought in for each door. Nine is the number symbolizing completion. That is why each door features nine rocks, to complete the purification process for each element. Two people are chosen, male and female to keep the energy balanced, to offer prayers and intentions. The male holds antlers to each stone as it comes in and the female draws circles and crosses with a wet stone. The water vapor that rises up are said to carry these prayers and intentions up into the heavens. After the doors close, intentions are shared, worries are shared, and songs are sang, giving birth to this deep sense of connection with everything. This goes on for about 30 minutes each door, depending on the shaman and depending on the type of ceremony. By the time the ceremony is over, the doors opening really feels like you have been reborn and are fresh out of the mother’s womb. This is actually what a temazcal is all about. Purification and rebirth. It is meant to emulate the mother’s womb and in this case our mother being earth. As you walk out, you’re greeted with a very cold bucket of water that shocks your body into life. Just as a baby cries to awaken and take it’s first breath, your lungs feel the revival of prana. 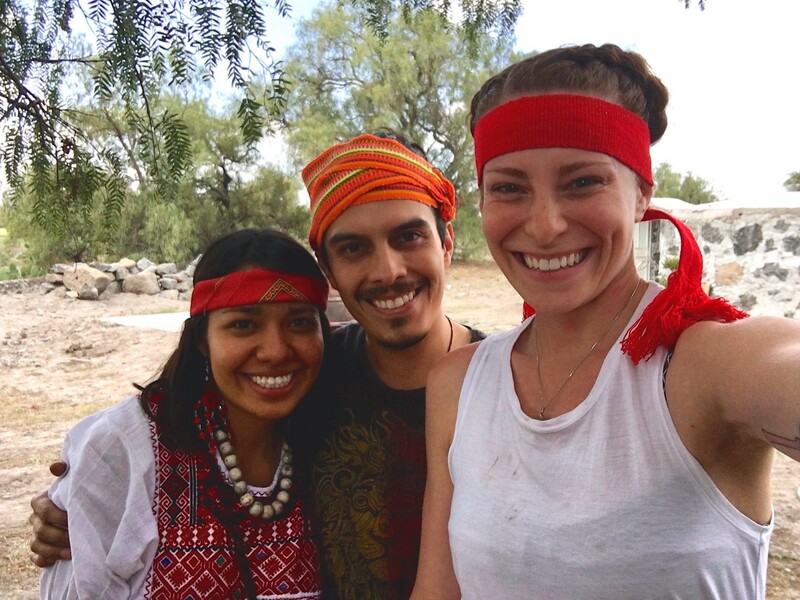 Our friend Nora, Israel and I at an authentic Mexican temazcal outside of Mexico City. What goes on inside of the temazcal is very sacred and unique depending on each group. The only way to really know what it’s like is to try it. It’s definitely a bucket list experience. What Is Plant Medicine?What is Zazen?